Vienna Ice Cafe, run by the owners of Mozart’s, recently debuted in Clintonville. T. Murray’s (opened Monday), Winan’s Chocolates and Coffee (opens tomorrow) and Harvest Pizzeria (opening Friday July 15th) are all eagerly anticipated additions to the German Village area. Last week saw the opening of Milestone 229 as part of the new Scioto Mile. 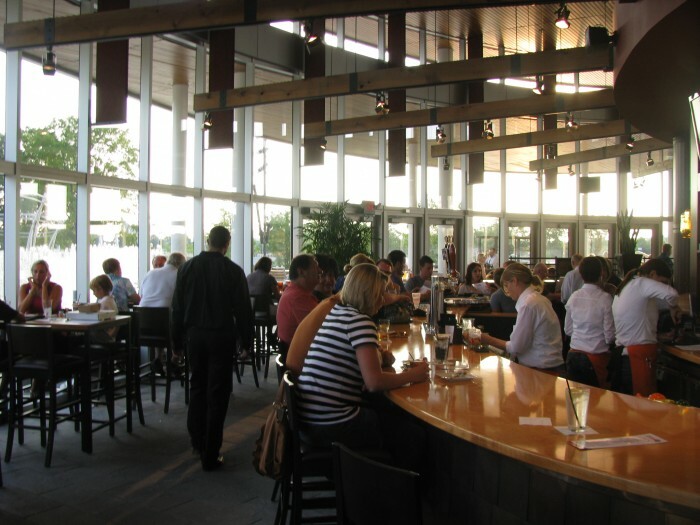 Part of the CBC Restaurant family, Milestone has upscale comfort food, a large covered patio and stunning views of the new Bicentennial park fountains and downtown skyline. (More photos here). Coming close on it’s heels are several other planned openings in the downtown area: Dempsey’s on South High St., MoJoe downtown in the Lazarus building, Element Pizza on N. Third St. and Sidebar (a classic cocktail lounge). We’ll keep you posted as we gather concrete opening dates, but we think it’s safe to say that long gone are the days when nothing seemed to be open downtown after dark. Milestone 229 aren’t the only ones with a great new patio. L’Antibes restaurant is perhaps one of the lesser known gems of the Short North, and last week their new patio was finally open for business. Featuring a new small plate menu and an impressive liquor selection this spacious and secluded patio is a wonderful place to while away a summer evening. Sunday July 17th: Third Sunday Supper at Jorgensen Farms. This Sunday’s theme is backyard picnic. Sunday July 17th: Pizza Grand Prix VII at Wildgoose Creative. July 18th-23rd: Restaurant Week Columbus 3 Course set menus at restaurants around the city. Wednesday July 20th: Rigsby’s Pelotonia wine dinner at Ray’s Living Room. Chef Kent Rigsby is riding this year’s Pelotonia. Saturday July 30th: Hill’s Foodie Fair and Spelling Bee. Kids’ cook-off, spelling bee, hot dog eating competition, street food vendors fair, you name it – it’s going on at Hill’s. This event is a fundraiser for Local Matters. Thursday August 4th: Taste of Columbus at The Renaissance Columbus (out on the Pool Deck). This event is fundraiser for the Ohio Health Foundation and featuring some of Columbus’ finest chefs and restaurants. Saturday August 27th: It may seem like a long way away, but this event always sells out early….. It’s the 2011 Bacon Camp, a celebration of all things bacon-y. 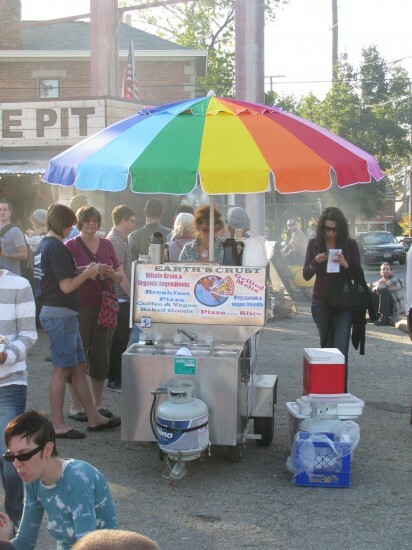 For more food events, check out our post on Street Eats Columbus about events featuring mobile food vendors this summer. – Jeni’s cookbook ‘Jeni’s Splendid Ice Creams At Home’ is already on its second edition and hit the New York Times bestsellers list(!) last weekend. Jeni is making a couple of Columbus stops on her whirlwind national book tour. Jeni’s recently opened their first store outside Ohio in Nashville Tennessee. All of the locations are on their website. – Sugardaddy’s, another of our delectable Dessert Tour partners, has also been expanding – their third store is now open at Easton Town Center. – Los Guachos Taqueria, one of the most popular stops on our Taco Truck Tour, was featured in Maxim’s 2011 Food and Drink Awards. Columbus Food Adventures has had some great press recently. We’re featured on the front cover of this month’s Columbus Entertainment Magazine and were featured with Jeni’s Ice Creams on Indiana Public Media’s Earth Eats. We’ve also been featured in spots on ONN’s Discover Ohio show and on NBC4 with Monica Day. We’ve improved our All Dessert Tour with an additional stop at Cafe Brioso, one of Columbus’ best artisan coffee roasters. 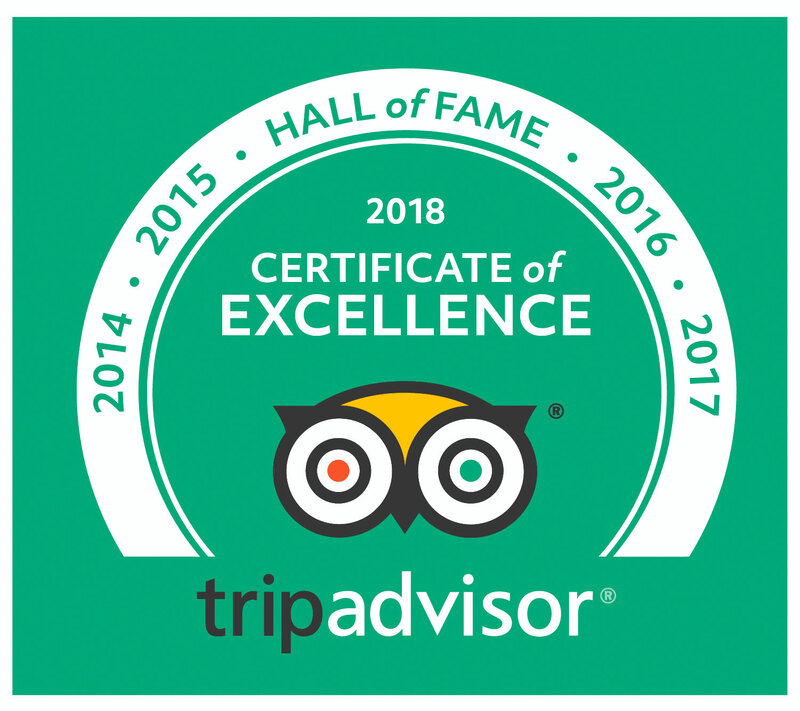 If you haven’t tried the dessert tour, now’s a great time. We’re also giving away a pair of tickets for this Saturday’s tour (act quick though, giveaway ends tomorrow!). So far, we’ve had a booming summer. In order to avoid the disappointment of sold out tours, we’ve added more dates for the taco truck tours (now offered on some Thursday and Friday evenings). If you have a specific date in mind for a tour, we’d strongly encourage you to book ahead as far as possible. Have you heard us on WCBE Foodcast? We’re part of a new weekly food show on WCBE 90.5fm airing on Saturdays at 2pm. If you missed our first two shows (about BBQ in Columbus and ethnic markets) you can listen to them on the WCBE Foodcast website. Dont’ forget you can follow up on twitter or facebook for the latest and greatest in Columbus food news. ← All Dessert Tour – Announcement and Giveaway! You guys rock! Kudos on all the recognition and thanks for all you add to the Cbus food scene!